Where are your photos and videos stored now? If the device which holds your photos and videos fails tomorrow, will you be able to retrieve them back easily—and at no cost? If you can’t, is it even possible to reshoot your project? If you’ve shot an event, you probably don’t get a second chance at it. If you’ve travelled overseas with a team, you’ve probably already spent thousands of hours and tens of thousands of dollars on your project (and not considering the fact that you’d probably dread to do this: all. over. again.). And if you’ve shot for a client, your customer probably expects the goods to be delivered in the next few days. If your answer to the first question—where are your files stored?—is only on one single storage device, and you can’t imagine what will happen if you lose them, then it’s time to start giving backups some serious thought, and take concrete action after that. What are storage devices? They can be your computer’s hard drive, your portable hard drive, your thumb drive or even a virtual storage such as your web-based email account. All storage device can fail, and even if you have a lot of faith in your storage device, they can get lost or stolen. When was the last time you heard someone’s MacBook crashed? When was the last time you received a mass email about a lost thumbdrive? Not too long ago I suspect. Even online storage services from big and supposedly reputable companies can lose your files. Just last year, Microsoft almost lost all contacts, notes, calendars and photos of its Sidekick smartphone users. And when it comes to hard drive, for god’s sake, there is no brand loyalty involved. You may prefer a Seagate to a Hitachi, or a Western Digital to Buffalo, but if you keep the first principle in mind, they are all the same, and they are all going to fail. It could be 5 years later, it could be 1 month later, it could be tomorrow. The problem is: you can’t know for sure. So buy whatever brand you fancy, but don’t forget to treat it like it’s going to stop working any day. Once you’ve developed a sufficiently pessimistic outlook on the reliability of your storage device, it becomes easy to understand the second principle: every file must be on at least two storage devices at any one time. If you could store it on more devices, all the better. And just to make sure we’re crystal clear, when we talk about storing your files on at least two separate storage devices, we’re really talking about two different physical devices altogether, not making two copies of your files in different folders of the same hard drive, nor storing them on different partitions of the same drive (don’t worry if you have no idea what partitions are). About 4 in 100 hard drives fail every year in controlled studies where there’s no chance of misplacement, theft or physical damage. 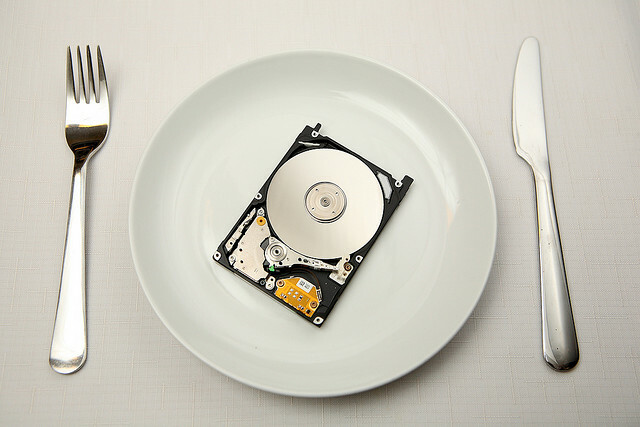 If we factor in these real-world causes of hard drive failure, let’s assume you’ve a 10% chance of losing all your files in one year if they’re only stored on a single hard drive. Having the same files stored on two hard drives, you reduce your chance of losing all your files to 1%. And on three hard drives, 0.1%. Theoretically, you should store every single important piece of file on as many storage devices as possible, but there are practical considerations that will hold you back from doing so. For instance, if you have 1TB (about 1,000GB) of files that you can’t afford to lose, you’re going to need at least two 1TB hard drives to be reasonably safe. So when you’re buying your next hard drive, you should really be looking at buying two of them that can hold all of your important data, not just a single large hard drive that could fail any moment. Of course I would love to reduce my risk of losing my files to 0.1% by having them on three separate storage devices, but it’ll cost me more money, more space and more time than I would want to devote to keeping my files safe. So for now, considering the trade-offs involved, storing your important files on at least two locations should be reasonably safe. When one storage device fails (10% chance), you can buy a new drive and make a new copy of the files from the surviving drive. The possibility of having both drives failing simultaneously are slim (1%), but definitely possible. Just imagine a fire breaking out where your drives are stored, or dropping a bag which contains both your drives. To be very, very sure, keep the devices in separate physical locations so that even a flood wouldn’t take out all your important files at once. Keeping backups might seem like a costly affair, but it’s really not that bad compared with the prospect of losing the files that you can’t afford to lose, or trying to send your dead drive for data recovery.